The inheritance of the N8 universities, and their role as cornerstones of regional innovation and cultural as well as economic regeneration, is closely linked to the needs and aspirations of their local communities. N8 is committed to developing best practice in incorporating the multiple voices that together can deliver regeneration and transformation. Especially In the context of the emerging Northern Powerhouse and city devolution agendas, more effective working between academic and non-academic communities in order to generate knowledge which is both intellectually excellent and delivers public benefit. 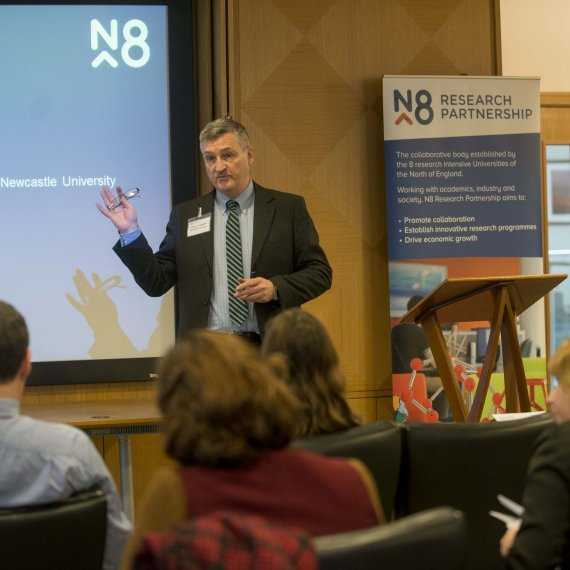 The N8 Research Partnership has been taking collaborations forward that involve multiple disciplines, multiple institutions, the public and voluntary sectors, and businesses – with the aim of building “Innovation Communities”. N8 already is running projects in which real world issues can be identified by together with a range of society partners, leading to collaborative research to deliver societal benefit. 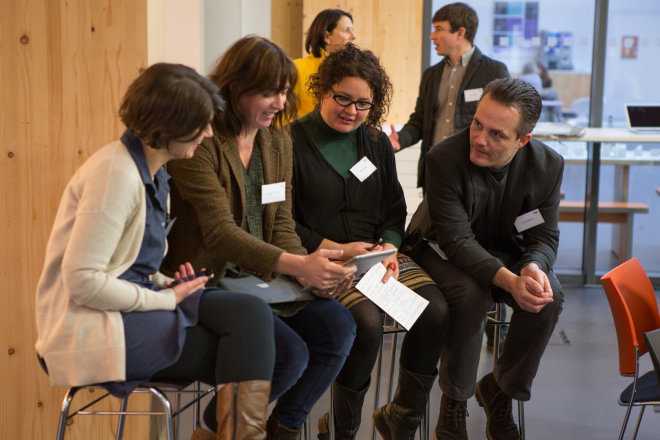 Closer working between academics and non-academic research user groups – so called ‘co-production’ of research – is one approach that we are using for developing knowledge and insights. This is enabling us to address, for example, community and urban living challenges, through partnerships between researchers and groups and individuals within the policy community, the voluntary sector, and business. The N8 Policing Research Partnership (N8 PRP) is another interesting co-production initiative – as well as academics across our eight universities, this partnership programme – part-funded by HEFCE – involves 11 police forces and offices of the Police and Crime Commissioners, all across the north of England, as well as Her Majesty’s Inspectorate of Constabulary and the College of Policing. N8 PRP provides a platform for the partners to identify major policing issues together, and then to co-develop research and knowledge exchange activities that strengthen the evidence base and support innovation within policing. 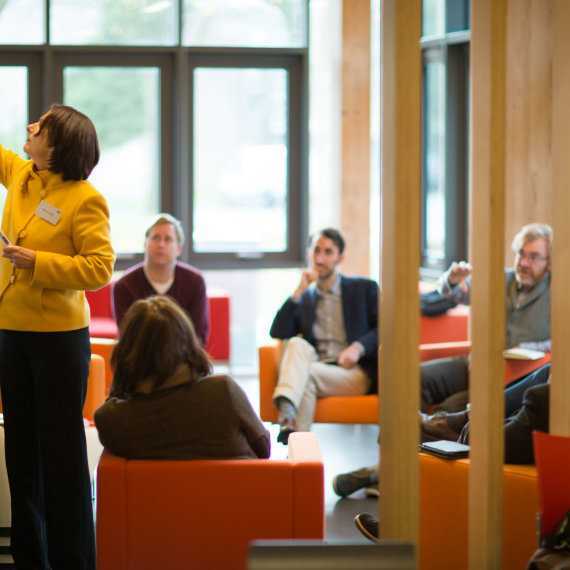 Successful interfaces between the third sector, business, and academia are critical to successful and relevant research programmes for the future. N8 recognise, though, that such cross-sectoral “Innovation Communities” need time to be built, and each party needs to be able to learn from and trust the others. In N8 we believe that learning how to do collaborative cross sectoral research in a more sophisticated way will mean that our research programs are perform efficiently; delivering high ‘bang for the buck’ in terms of productivity; and by working across sectors and disciplines we will deliver a higher level of innovation. The future is, we think, bright for innovation communities as a model for research – if you want to be part of this, please get in contact.